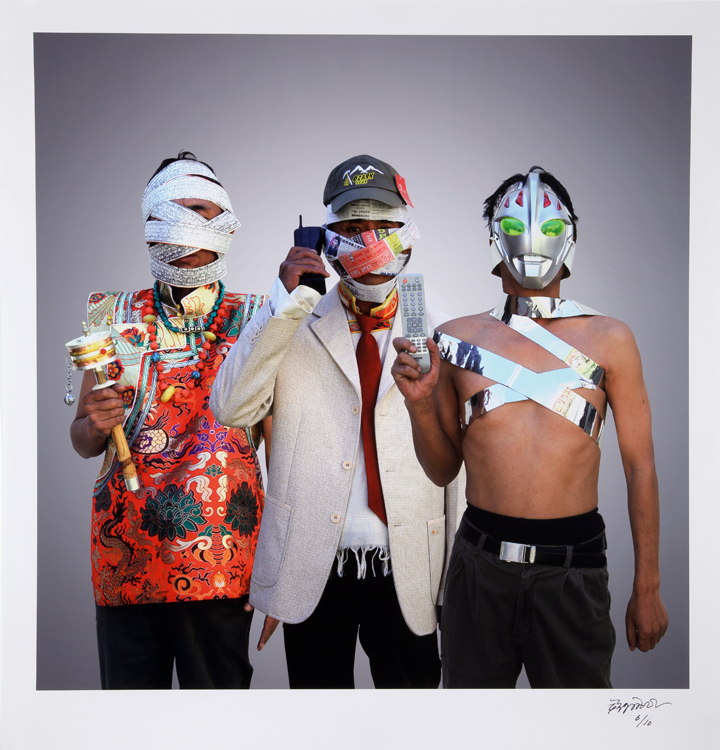 Nortse, Group Photo, 2007, Chromogenic color print, 21.7” x 21.7”. Artist lives and works in Lhasa, Tibet. Featuring works by Tibetan artists from inside Tibet and exile, the Anonymous show presents a large collection of artworks by known and new artists. Curated by Rachel Perera Weingeist, the works are mostly drawn from the Shelly and Donald Rubin private collection. The show opened initially at The Samuel Dorsky Museum of Art at New Platz in 2013 and has traveled to Fleming Museum of Art at the University of Vermont in 2014. The current presentation at the Queens Museum opened in September this year and will close on January 4 2015. In a range of mediums and individual styles, the artists explore themes of identity and self-expression. Displayed without attribution, the videos approach these themes from an alternative vantage point” embracing anonymity as an opportunity for open exploration and the presentation of oft-censored imagery. Experienced collectively, the range of work across media considers the varied roles of self-expression and identity in contemporary Tibetan culture.